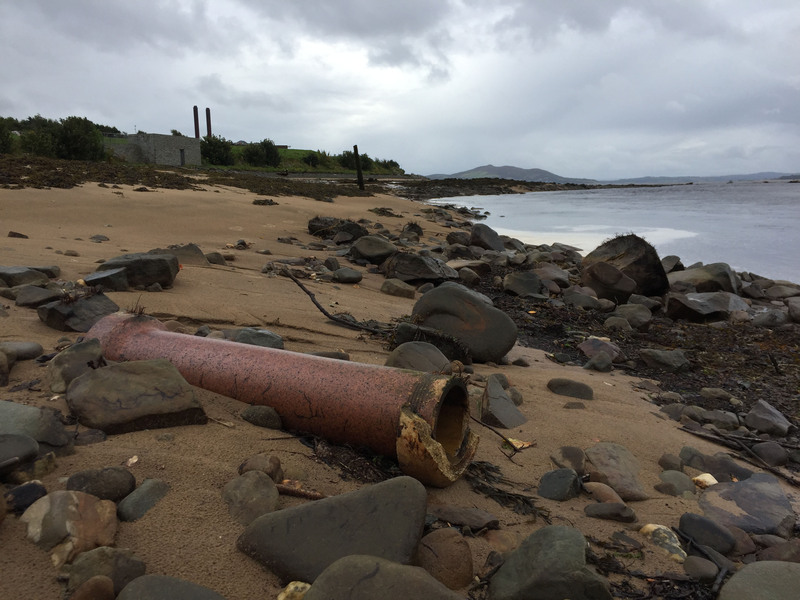 A broken pipe lies amongst flood debris at the mouth of the Crana River. A massive beach clean up takes place across Inishowen this weekend, with appeals for volunteers to help clear the debris deposited on our beaches following last month’s floods. The clean up runs all weekend, from Friday 15 to Sunday 17 September and will take place on beaches in Buncrana, Culdaff, Greencastle and Moville, amongst others. “There’s an incredible amount of debris and litter on our beaches, and bobbing around in the Foyle,” said Trish Murphy from the Moville tidy towns group who are helping organise the clean up.